Want to own a grocery store with your friends? 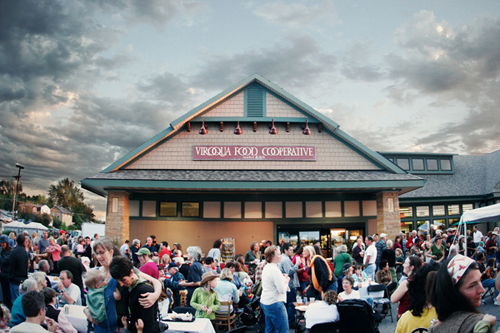 Join over 4,000 of your friends & neighbors in co-owning the Viroqua Food Co+op! Receive bonus coupons when you join, plus a free gift if you pay in full. Bi-weekly discounts exclusive to Owners (see: owner deals). Monthly discounts exclusive to Owners. Check our calendar each month or find these discounts listed in each quarterly newsletter (see: Owner Discount Days). Special order discounts of 10% off retail case price when you order by the case. Discount on food and cooking oriented Driftless Folk School classes. Look up specific classes here and utilize your owner number when you see the VFC coupon below the registration information. Participate in co-op governance, elect annual Board Directors or run for an open seat on the Board. Earn a Patronage Refund in profitable years when declared by the VFC Board of Directors. Be actively involved in the economic development of your community through supporting local farmers and food producers. Receive the Pea Soup 20-page quarterly newsletter (mailed or emailed). Shape the future of VFC by attending the Annual Owners Meeting and participating in focus groups and surveys. Vote for your favorite local nonprofit organization (NPO) to be a recipient of VFC’s Give Where You Live/"Round Up" Community Donations Program. Apply online by filling out the PayPal form on the righthand side of this webpage. Pay in full and receive a free gift! Begin with an initial payment of $25 (1-adult household) or $50 (2-adult household) to be paid in full within one year. Benefits begin upon the first investment. Once you are paid in full, that's it. There are no yearly renewal fees! Packet contains new owner card and bonus coupons exclusive to new owners. Always provide your owner number to cashier upon each purchase so they can be applied toward any potential Patronage Refunds. If you move, change your name, or have a change in household members – be sure to update our records so we can stay in touch with you! What's the difference between Class A and Class B stock? With each membership comes shares of Class A & Class B stock! Your ownership contributes to the Co-op’s capital. Two Class A shares must be purchased in addition to the initial Class B stock in order to complete the membership payments for a single equity membership. Class A shares are refundable; check out the Equity Withdrawal Forms by clicking here. Why does my initial $25 go toward Class B stock first? This $25 share is the first share purchased by new owners. It is non-refundable but gives you immediate membership and voting rights! In order to keep these rights active, the total of $75/owner must be paid in full within 1 year. guide for new VFC owners!